Astronomers at the Space Telescope Science Institute today unveiled the deepest portrait of the visible universe ever achieved by humankind. 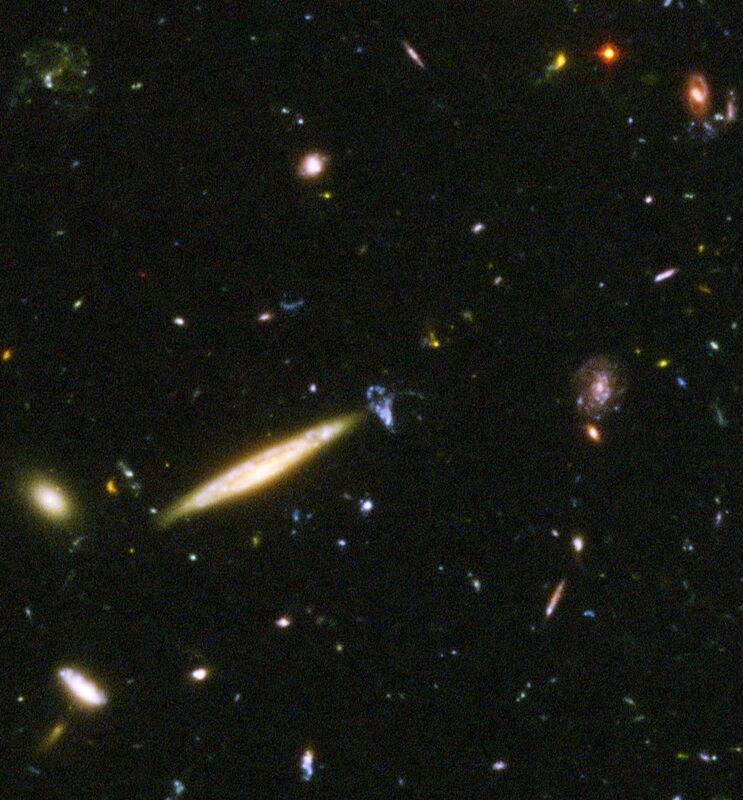 Called the Hubble Ultra Deep Field (HUDF), the million-second-long exposure reveals the first galaxies to emerge from the so-called "dark ages," the time shortly after the big bang when the first stars reheated the cold, dark universe. The new image should offer new insights into what types of objects reheated the universe long ago. 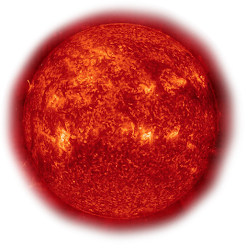 This historic new view is actually two separate images taken by Hubble's Advanced Camera for Surveys (ACS) and the Near Infrared Camera and Multi-object Spectrometer (NICMOS). Both images reveal galaxies that are too faint to be seen by ground-based telescopes, or even in Hubble's previous faraway looks, called the Hubble Deep Fields (HDFs), taken in 1995 and 1998. "Hubble takes us to within a stone's throw of the big bang itself," says Massimo Stiavelli of the Space Telescope Science Institute in Baltimore, Md., and the HUDF project lead. The combination of ACS and NICMOS images will be used to search for galaxies that existed between 400 and 800 million years (corresponding to a redshift range of 7 to 12) after the big bang. A key question for HUDF astronomers is whether the universe appears to be the same at this very early time as it did when the cosmos was between 1 and 2 billion years old. The HUDF field contains an estimated 10,000 galaxies. In ground-based images, the patch of sky in which the galaxies reside (just one-tenth the diameter of the full Moon) is largely empty. Located in the constellation Fornax, the region is below the constellation Orion.